What do you think of when you hear the word “marketing”? For most people, the activities that immediately come to mind are the forms of marketing we experience most often in our daily lives. Social media advertising, email campaigns, television advertising, and paid advertising through search engines – these are the types of marketing activity that come into contact with on a regular basis. 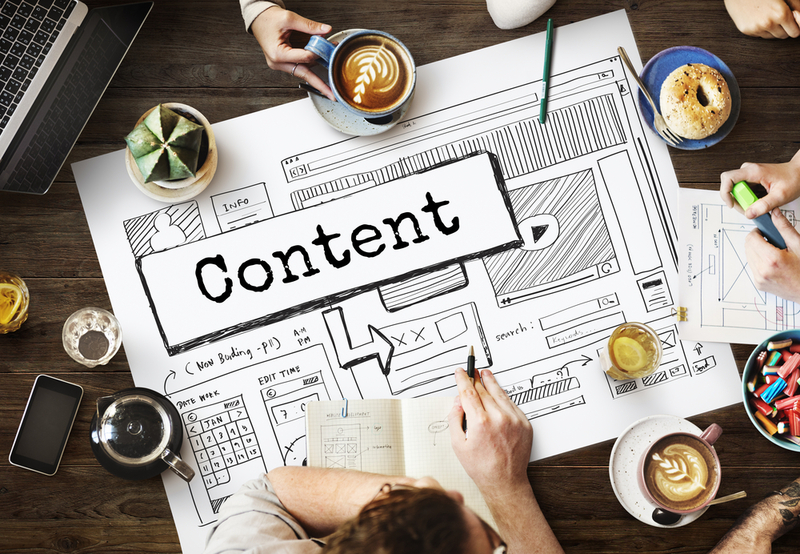 Marketing we encounter daily is a crucial piece of the brand recognition and lead generation jigsaw – but it isn’t the only piece. Exhibitions may not be the most commonly cited or talked about marketing activity, but after running countless successful marketing campaigns here at GMA, we know that exhibition presence is a powerful underrated marketing tool when utilised and followed up upon correctly – and the statistics prove our point. According to Display Wizard’s survey of small and medium-sized enterprises (SMEs) in 2015, 71% of SMEs reported winning business through face-to-face networking events, such as exhibitions and trade shows, while a survey by the Center for Exhibition Industry Research (CEIR) found that 81% of attendees to exhibitions and trade shows have buying authority. 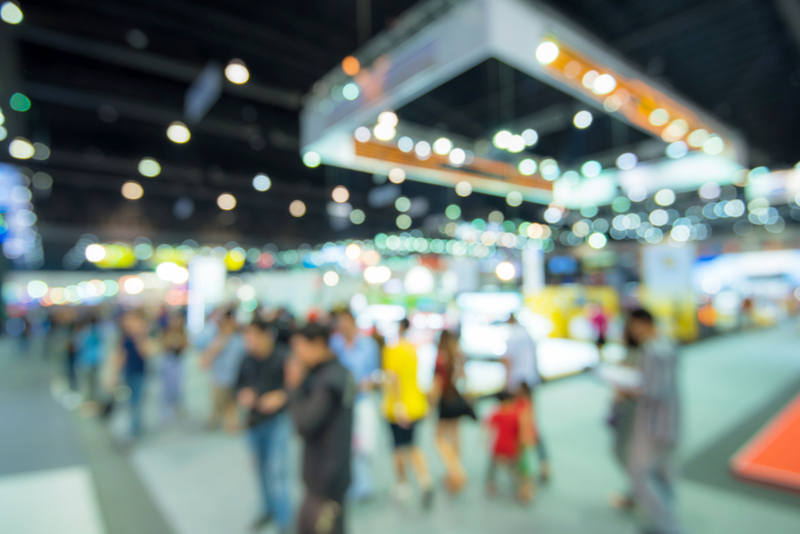 Exhibitions are a unique opportunity to reach fresh prospects and bring in new leads, with a survey by Exhibit Surveys in 2015 discovered that 64% of attendees to trade shows or exhibitions were not existing customers of the companies exhibiting at the event. But how can you make sure you stand out when you attend an exhibition? Ready to find out the secrets to exhibition success? Get in touch with us – or read on. When planning to attend an exhibition, we’ve seen clients who assume the best place to exhibit is a trade show or event that is directly related to what they do. For example, a company that sells professional food processing machinery may decide to hire a stall at an exhibition based around machinery manufacturers. There is some logic to this idea. However, this company will be surrounded by their competitors, flanked on all sides by businesses who are providing the same services or products as them – and how many professional butchers, chefs or caterers are likely to attend an exhibition for equipment manufacturers? When choosing an exhibition to attend, always consider the type of event your desired customers are most likely to attend. The professional chefs, butchers, fishmongers and caterers that our food processing machinery company is seeking are far more likely to be attending an exhibition aimed directly at food professionals than machinery manufacturers. Those food industry exhibitions that they’re attending are also more likely to see a greater diversity of exhibitors, from catering companies to companies selling cutlery and accessories to companies importing spices, herbs or other ingredients. Our hypothetical food processing machinery client’s stall has a higher chance of being the stall to go to for machinery, rather than being lost in a sea of competitors. Once you’ve chosen the right exhibition, it’s time to make sure you choose the right spot within it. When deciding where to place your stall, consider where the footfall is likely to be highest. Whereabouts are the toilets located? Where are the cafes? Whereabouts are the stands most likely to see a high level of attendees and crowds? Place your stall in the centre of the action. Well-designed, sturdy and attractive exhibition graphics are your stand’s most essential weapon – but do not underestimate the power of your own presence. Engage passersby with a welcoming approach and a “Hello” – but be mindful that you come across as friendly, rather than forceful. For some attendees, your stand will be their first impression of your business: make sure it’s a good one. However, an eye-catching stand is only the first hurdle in making a splash at an exhibition. One GMA client in the Plant Hire industry ensures they stand out at exhibitions by incorporating one of the largest and most impressive pieces of their equipment into their stand. This is certainly attention-grabbing – few fail to notice the sight of a 12 ft excavator standing in the exhibition hall. In order to make this possible, GMA analysed the exhibition hall’s floor-plan, calculating precisely how much space was needed, and how the excavator would need to be positioned in relation to both our client’s stand and the stands of the other exhibitors. Once those calculations were complete, we completed the legally required health and safety paperwork and administration, communicating with the event’s organisers to ensure our client would be able to smoothly transport the excavator in and out on the day of the exhibition. Our client’s stall featuring a 12 ft excavator did more than simply attract hundreds of attendees to their stand. Doubling as a product preview, it allowed attendees to see proof of the client’s credibility in person, with visitors to the stand able to see the excellent condition our client keeps all of their equipment in. While you may still bring leaflets or brochures to showcase your range, a product demonstration or preview is more valuable than any amount of literature describing your products. However, though visitors to your stand will remember the interactive activity you invite them to take part in, remember that your ultimate goal is for them to remember you. While supporting a client at an exhibition, we noticed that our client neighboured a stall who had chosen to invite visitors to try fitting a tyre themselves. This opportunity gathered a crowd, and the stall certainly saw more visitors than many others in the hall – but upon conversing with the exhibitors running the stall, we discovered that the number of leads they were generating from the activity was surprisingly low. While supporting the stall of a GMA client in the engineering industry, we decided to introduce an interactive element by integrating a touchscreen into the stall. This touchscreen allowed visitors full access to an app we had developed for this client, which showcased the client’s range of machinery and products, with photos, product specifications and even demonstration videos available at a glance. The strongest structures are supported by good foundations – make sure your stand is too. The promotion opportunities don’t have to stop after the exhibition ends. At GMA we think strategically, using the exhibition itself to gather key promotional assets that can be used after the event in email campaigns, social media posts, and website updates. One key GMA client is a manufacturer of CNC machinery, holding their own Open House exhibition event in addition to attending trade shows around the country. These annual Open Houses are a powerful promotional opportunity, giving the client the ability to show potential customers the quality, speed and efficiency of their machinery in person. However, not every potential customer has the means or time to attend the Open House. Exhibitions are a uniquely effective way to network and meet new customers, but how do you reach the ones who cannot or will not attend? Using a combination of photography, videos, and product specifications laid out in a clean and readable format, GMA created a digital Open House to mimic the experience of the client’s annual event for customers who were unable to attend. This digital experience, hosted online, allowed customers to access all of the most crucial and compelling information about the client’s broad range of machinery, with videos capturing the machines in action to give a sense of size and scale. Cleverly placed calls to action and links made it easy for customers to buy any of the machines that appealed to them. After the hustle and bustle of the event has died down and you’ve packed up your stall, an important contact you made at the exhibition or a customer who wanted to know more may slip your mind. However, post-exhibition follow-up is essential – don’t squander all the groundwork you’ve laid at an event! How you follow up on exhibition leads should reflect your core audience, and what methods of communication they are most likely to respond to. At GMA, we weave this knowledge into all of our marketing – there is, after all, little point on spending a large chunk of your budget on a flashy magazine advert if the majority of your customers don’t read magazines. As we said in our pieces on crafting an expert marketing strategy, it’s vital to know your audience. A 2017 survey by Display Wizard found that 81% of exhibitors used email to follow up on their leads, while 68% turned to telemarketing. If you’re unsure what method your leads would prefer to be contacted by, then use the exhibition itself as an opportunity to find out – ask them! If you planned ahead and captured photos or videos of your presence at an event, a post-exhibition email or social media campaign is the perfect opportunity to use them – and event recaps on your blog will allow you to jog the memories of attendees, while simultaneously giving those who didn’t attend an insight into what they missed. The digital age has given businesses a spread of powerful new opportunities for promotion – but while marketing through email and social media is undeniably useful, face-to-face marketing still boasts unique opportunities for you and your business. A 2017 survey found that 75% of exhibitors predicted a positive future for trade shows, with respondents citing strong return on investment, the importance of face-to-face communication, and a boost in brand awareness. How far could an exhibition take your business? Perhaps it’s time to find out. Got an exhibition coming up? Or do you want to start marketing at exhibitions or trade shows, but you’re not sure where to start? Get in touch with us for personalised advice and support.